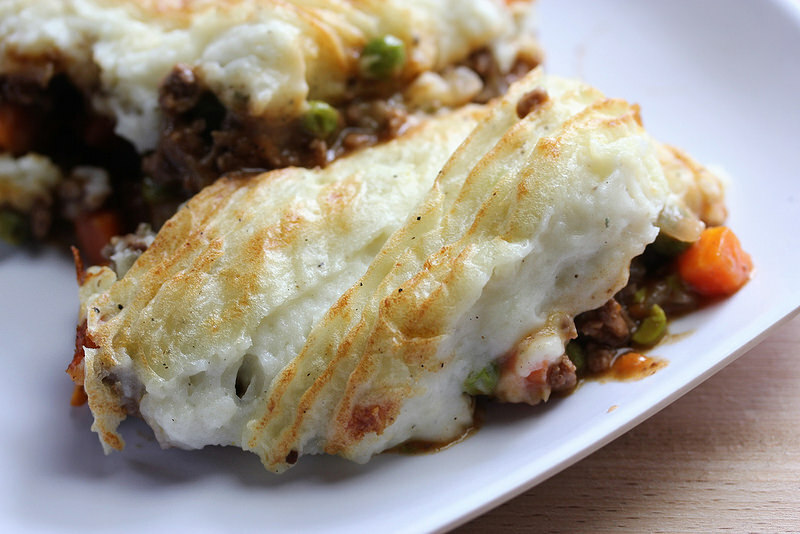 This Shepherd’s Pie for Two is a delicious one dish recipe, and just the right amount for two people. It does require a little time to put it all together but it is well worth the effort. I used frozen peas and carrots in this recipe and cooked them from the frozen state and it worked out real well. Place potatoes in a medium sauce pan covered with water and 1 tablespoon of salt. Cook until tender; drain. Add the half and half and 4 tablespoons of butter to the potatoes and mash until smooth. Cover and set aside. Using the remaining tablespoon of butter in a 10 inch skillet cook the onion, peas, and carrots, until softened. Add the ground beef, ½ teaspoon salt, ½ teaspoon pepper and cook breaking burger up until burger is no longer pink inside. Stir in the tomato paste, garlic, and thyme; cook until fragrant (about 1 minute) stir in the flour and cook for 1 more minute. Mix in the broth, wine, and soy sauce and cook until mixture is slightly thickened. 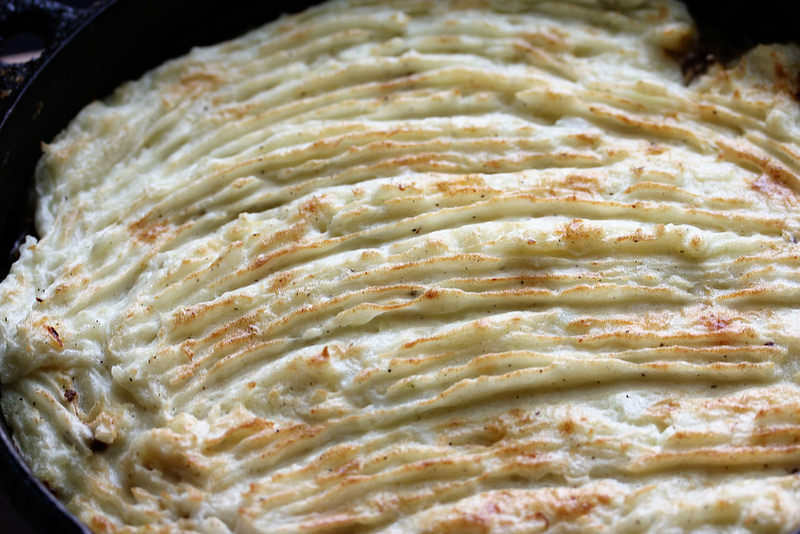 Spoon dollops of mashed potatoes over the top and spread it out in a layer over the filling. Drag fork tines over the top to create the ridges. Place oven on broil and move skillet to the oven, about 5 inches from the element, broil until potato topping is golden brown.